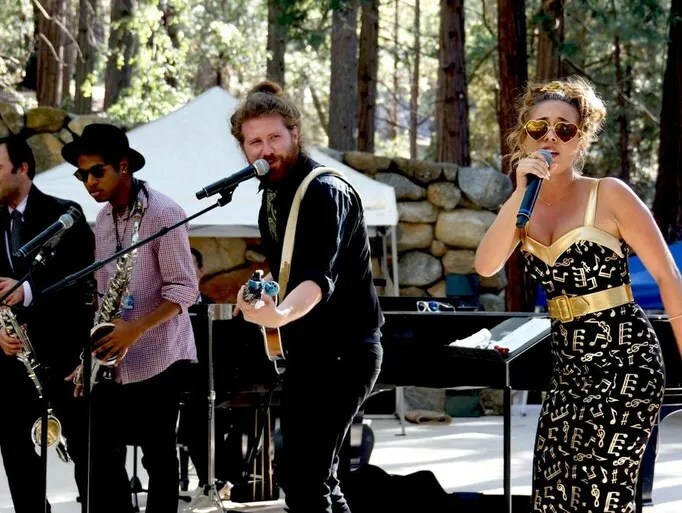 Our dynamic jazz duo Haley Reinhart and Casey Abrams reunited last weekend to play at the 22nd Annual Jazz in the Pines festival in Casey’s hometown of Idyllwild, California. The youthful Reinhart elevated the set from a fun reunion of friends to something very special with original material, the torch song, “Hey Baby, Ain’t I Good To You” and some beautiful harmonies with Casey. 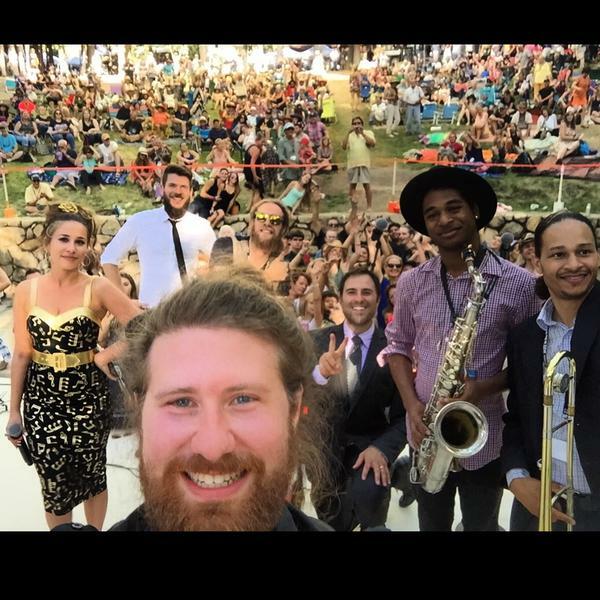 Their set was promoted as a showcase of a new type of jazz in which Casey and Haley would re-arrange contemporary pop hits in a ’20s and ’30s style, but they only did that on Meghan Treynor’s “All About That Bass,” which has an old-timey feel anyway. I’d love to see more of that since their version of that song was infectious. The estimated crowd size was around 3,000 people. One lucky fan got to keep their setlist, which included songs such as “Never Knew What Love Could Do”, “Stuck in London”, “With a Little Help from My Friends”, “You Were There”, “Moanin'”, “My Cake”, “Better”, “Creep”, “Stacy’s Mom”, “Can’t Find My Way Home”, and many more!